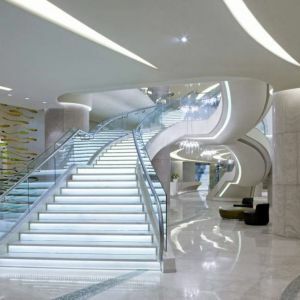 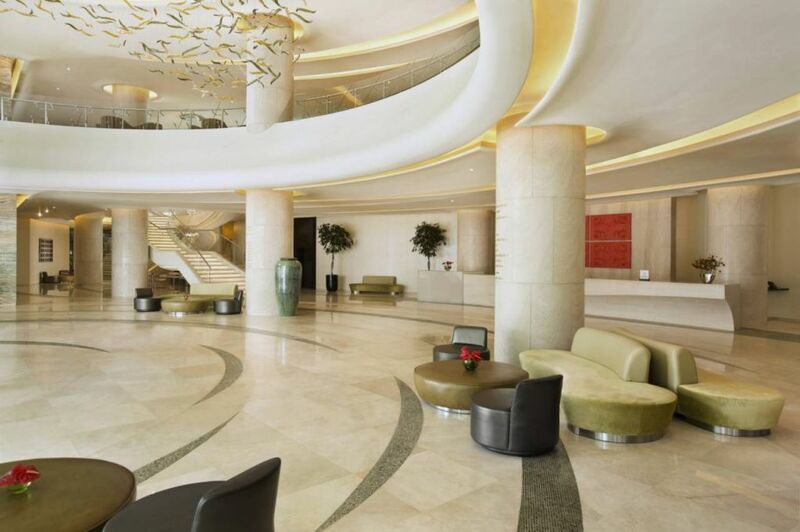 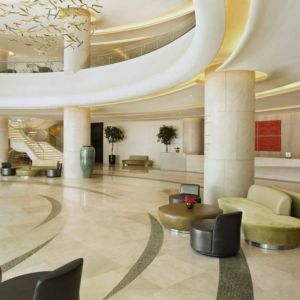 The stylish and contemporary Hilton Capital Grand Abu Dhabi hotel is located in Abu Dhabi´s new commercial district. 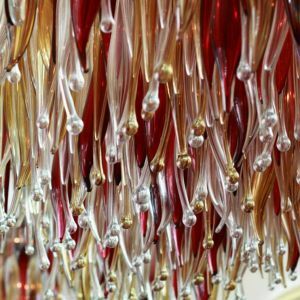 PRECIOSA Lighting in collaboration with Dubai based interior designer KCA International created beautiful lighting installations. 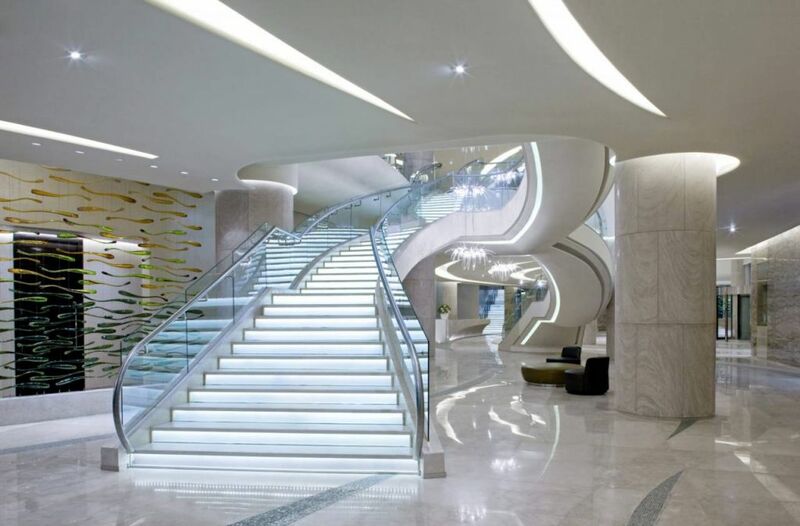 The hotel entrance is illuminated by composition of green and amber crystal organic shapes of which is also created crystal wall. 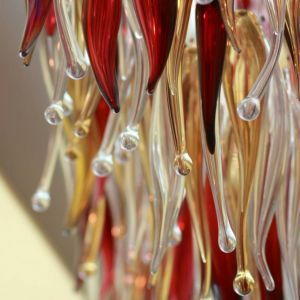 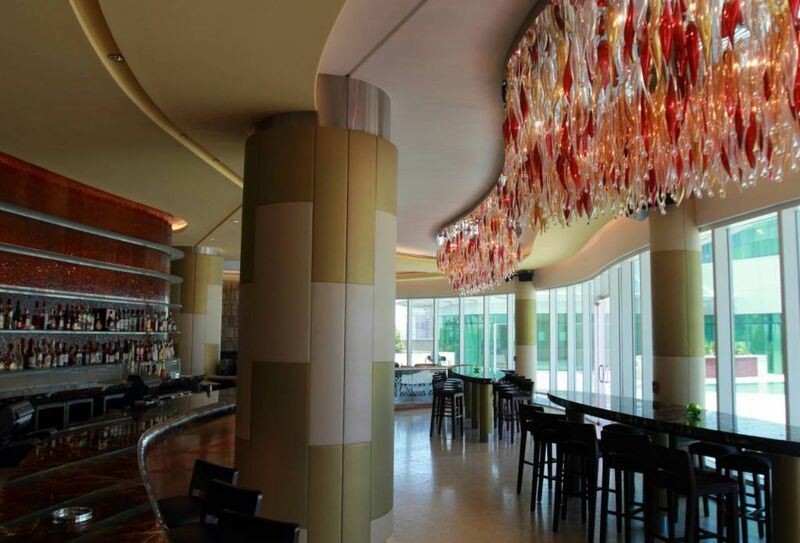 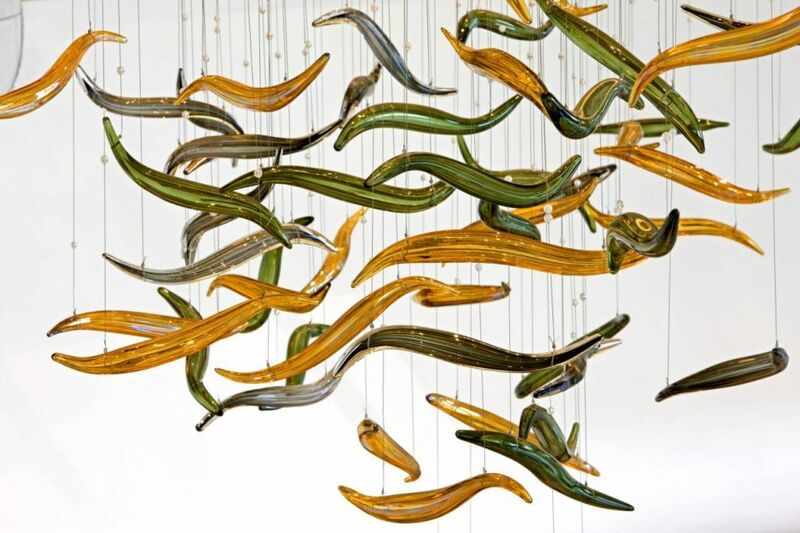 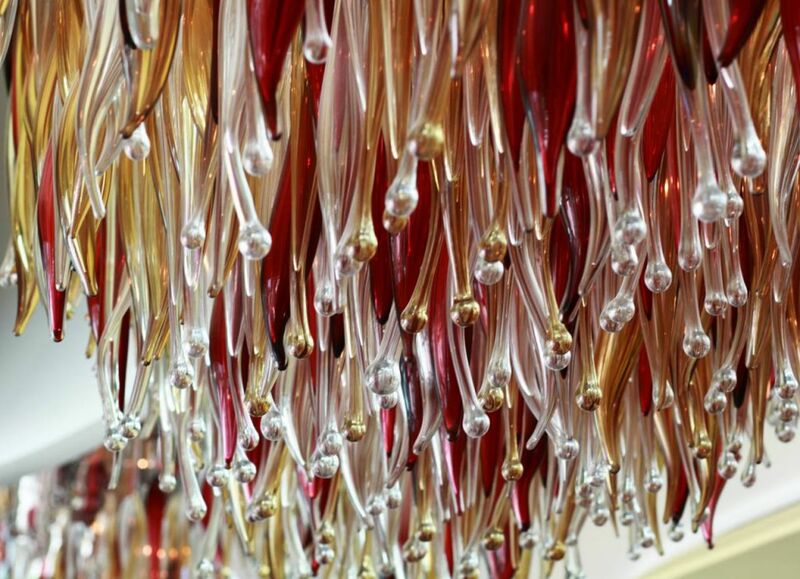 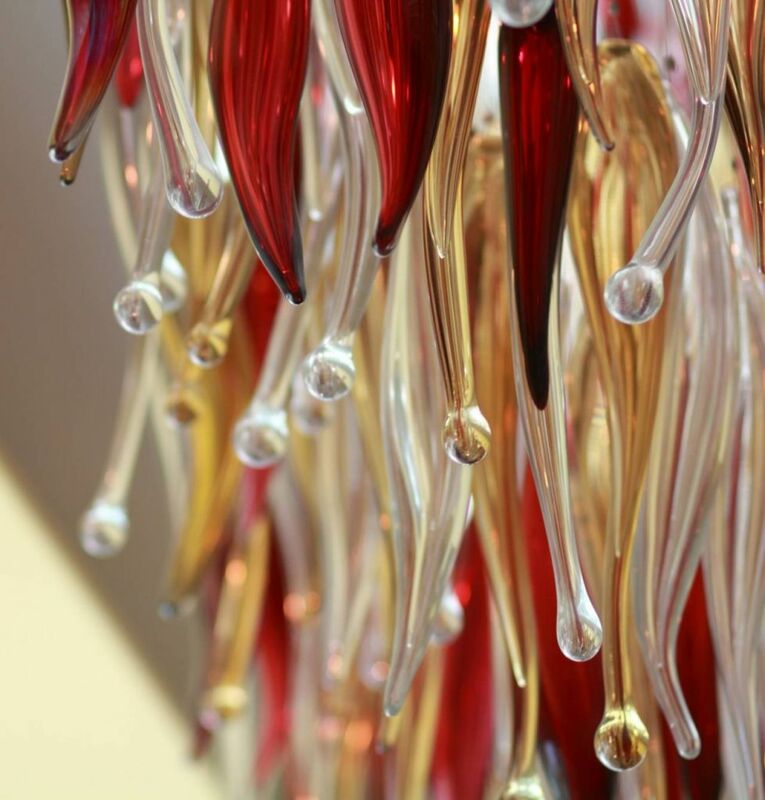 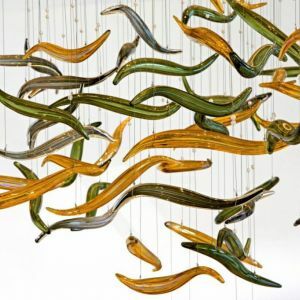 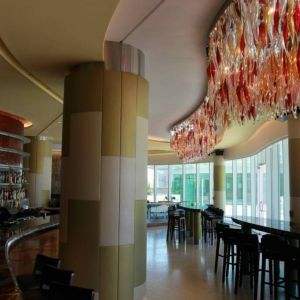 The hotel bar is decorated with light replicating the shape of bar, which consists of hand-blown crystal tendrils in colors of clear, red and amber.